UNM anthropology major Jamie Stevens was awarded a $5,000 scholarship by the Society for American Archaeology (SAA) Native American Undergraduate Scholarship in what is an international competition. “Thanks to this scholarship, the financial burden of tuition is alleviated for much of next school year. Additionally, I hope to use part of it to fund my participation in a field school,” said Stevens. Stevens is from the Pueblo of Isleta and is pursuing a BA, concentrating in archaeology with a minor in museum studies. Her interests are in the history of indigenous societies of the New World, interactions between societies who are separated by vast distances, and how people adapted in the past both to changing environments. 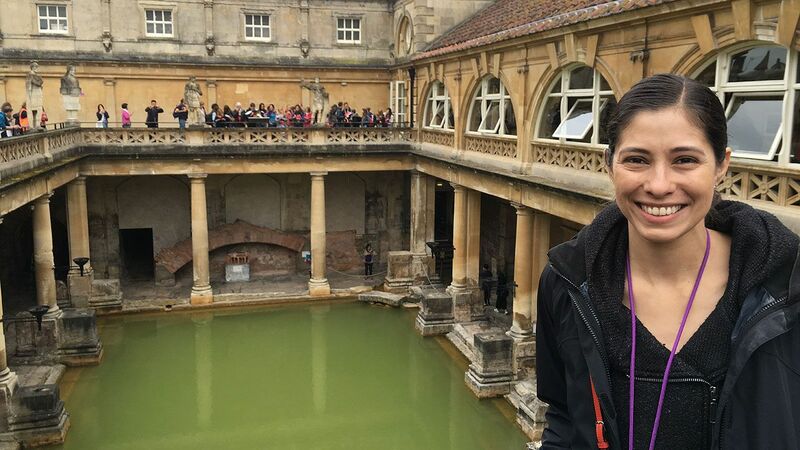 As a member of an underrepresented Native group in the field of archaeological sciences she is honored to serve as an ambassador to the anthropological community. The SAA Native American Scholarship competition is open to all Native peoples from anywhere in the Americas, Alaska Natives, Native Hawaiians and Indigenous Pacific Islanders.